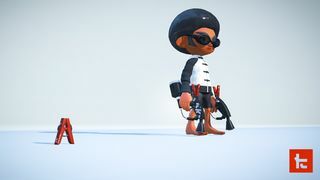 Version 4.0.0 is an update to Splatoon 2 that was released on 14 September 2018 at 01:00 UTC. Two new modes for Splatfest battles, Normal and Pro, replaced the previous Solo and Team modes. Normal mode can be played solo or as a team of up to 4 friends. Playing with fewer than four friends will add the appropriate number of other players to the team. Selecting "Continue" or "Change gear and continue!" allows players to continue onto the next battle with the same team. Points for turf inked by individual players are added to the points earned by the team for winning a battle, resulting in a value known as "clout," and the side with the most clout at the end of a Splatfest is the winner. Clout is not added for battles between the same side. If a team is on a winning streak, the game will try to match them against other teams on a winning streak. When there are multiple teams with the same number of consecutive wins, teams will be matched with a team as close to their skill level as possible. 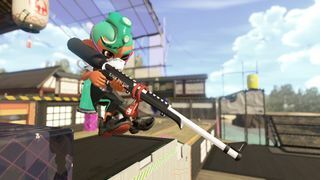 When weapons, gear, or general styles of four players in a team meet certain conditions, a nickname and a synergy bonus will be given to the team. A synergy bonus can reward more Splatfest points or clout for victories. Pro mode is similar to the previously available Solo mode. Players battle solo, increase their Splatfest Power by winning, and are matched against other players with a similar Splatfest Power. A Splatfest Top 100 list continues to be made available on SplatNet 2, ranking players with the highest Splatfest Power. Players receive clout equal to the opposing team's approximate Splatfest Power. The side with the most clout when the Splatfest concludes wins. Clout is not added for battles between the same side. The final Splatfest results are decided based on three factors: votes, clout from Normal mode players, and clout from Pro mode players. 10x Battles and 100x Battles will now occur randomly, earning players on the winning team a boost of clout for their side. They occur for both Normal and Pro divisions. 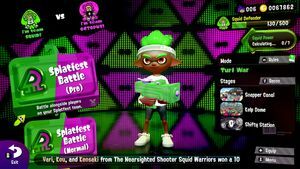 When a friend wins a 10x Battle, or if anyone wins a 100x Battle, that information will be displayed on the Lobby screen or the signboard in Inkopolis Square. The amount of Splatfest Power does not increase in these battles. 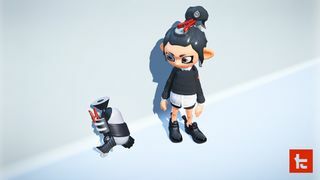 The first Kensa Collection, a line of weapons designed by Toni Kensa, was released with the update. The weapons became available an hour after the update. 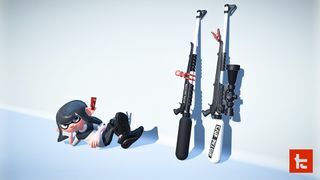 It includes the Kensa Splattershot, Kensa Charger, Kensa Splatterscope, Kensa Splat Roller and Kensa Splat Dualies. One new track was added to be played during Salmon Run battles: Frantic Aspic by ω-3. The track plays during wildcard rotations. ▲ Extended distance at which max damage can be dealt by roughly 14%, without changing firing distance. ▲ Increased the radius of area inked where a shot lands by roughly 20%. 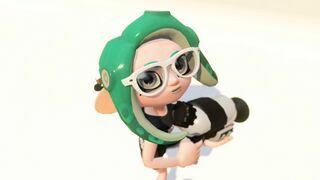 ▲ Increased the walking speed when not shooting, and the speed of movement in squid form, to be like that of the Sploosh-o-matic or the Splattershot Jr.
▼ Increased ink consumption by roughly 14%. ▼ Reduced damage dealt to the Rainmaker barrier by roughly 17%. ▼ Reduced damage dealt to an opponent's umbrella by roughly 20%. ▼ Reduced damage dealt to an opponent's Splash Wall by roughly 20%. Specifications for one of the sub weapons were changed. ▲ When two Ink Mines are placed in a stage and then a third is placed, the first Ink Mine explodes rather than simply disappearing. ▲ Ink Mine explosions now deal 45.0 damage to a player at extremely close range, and deal 35.0 damage in all other instances. ▼ Now blocked not only by the opponent's spawn point barrier, but also by the barrier of user's spawn point as well. Layout and terrain of certain stages were modified. Fixed an issue in causing the sound effect for destroying an opponent's umbrella to play multiple times due to poor connection quality. 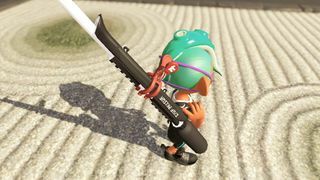 Fixed an issue causing players using an Inkjet to be splatted after being returned to the spot they activated the special if they touched water just as the Inkjet's duration ran out. 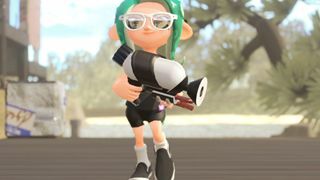 Fixed an issue when flinging ink with a roller or firing a charger in a way that would overlap with an Ink Storm's cloud that caused shots from the weapon not to appear correctly. 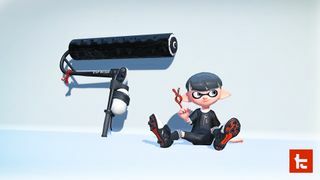 In one of the promotional pictures for the Kensa Splat Dualies, an Octoling boy is seen with no shoes on their feet. This lead some players to believe that an option for the players to be barefoot would become available in Version 4.0, but so far, nothing has been announced or added. It probably is because there are only three shoes produced by Toni Kensa, all of which are worn in the other three promotional pictures. 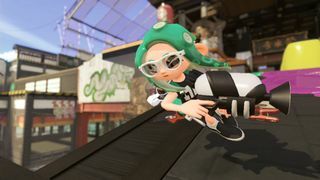 Toni Kensa ads seen on Starfish Mainstage feature barefoot Inklings, so it may not be anything big. This page was last edited on 15 December 2018, at 21:02.